There are nine townlands in Ulster called Gransha. So far, I’ve only visited one in the parish of Comber, County Down. The Gransha River flows through the townland before it reaches the Enler River (which in turn joins the Comber River and flows out into Strangford Lough). 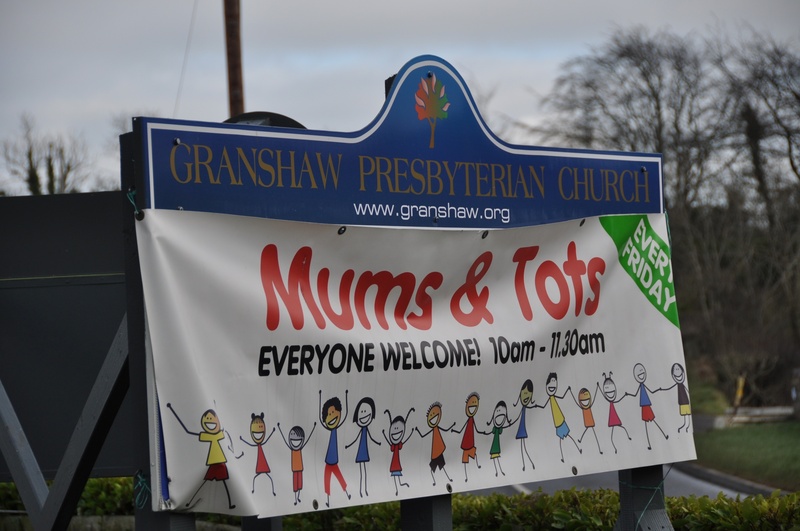 According to the PLACENAMESNI website, the name Gransha comes from the Norman-French “grange” which refers to land held by a medieval monastery. In this case the monastery was probably the Cistercian monastery of Comber which was about two miles away. 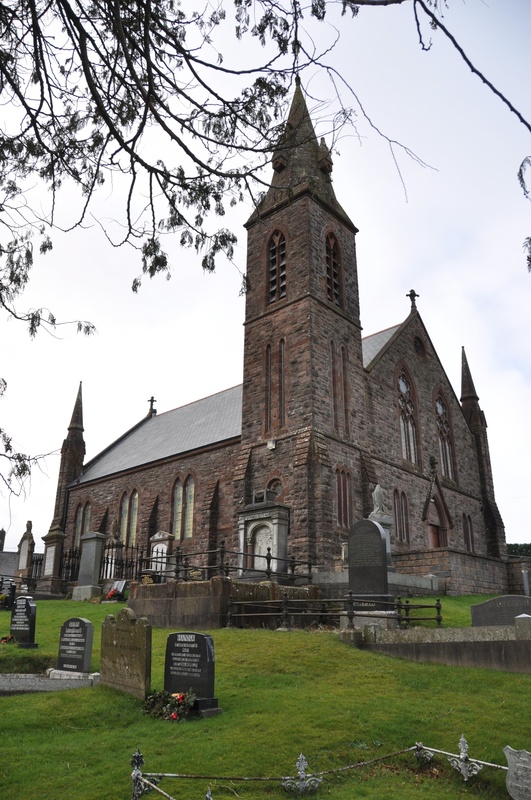 Now Gransha has its own church, which adds a “W” to the end of the townland name. 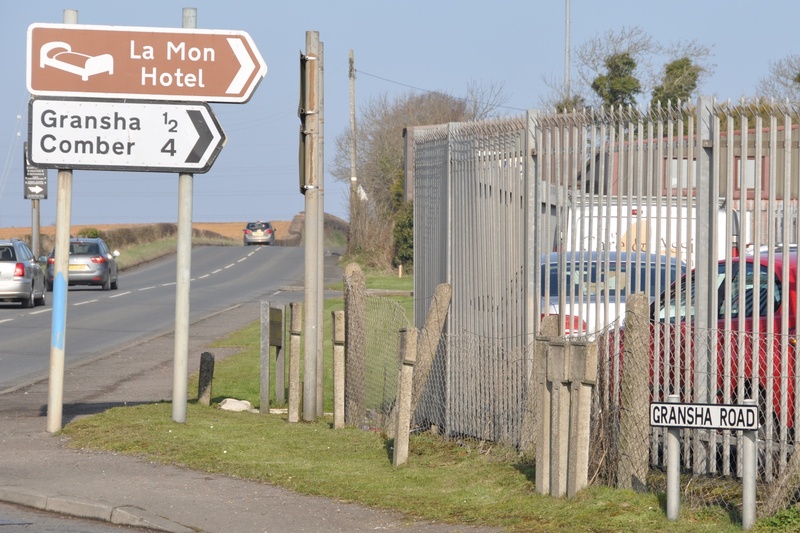 Churchyards are turning out to be treasure-stores of townland names. The names are inscribed on many gravestones from the 18th and 19th centuries. Occasionally, if I’m really lucky, they are still legible. 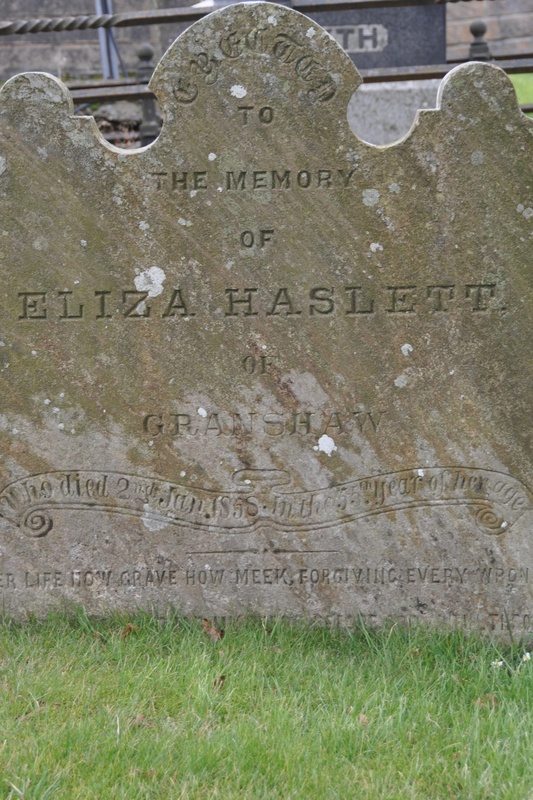 The grave of “Eliza Haslett of Granshaw” (with a W) is in Granshaw churchyard. One Gransha down, eight to go. 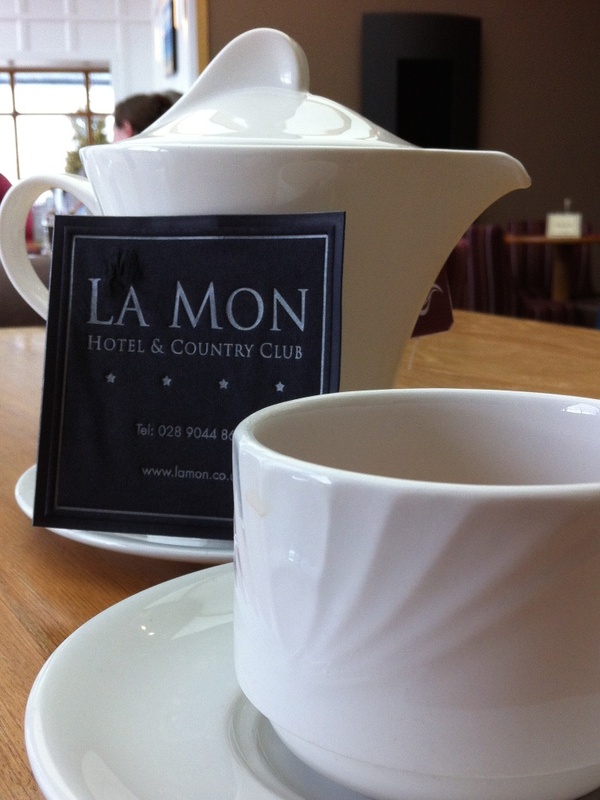 Time for a cup of tea at this Gransha’s La Mon Hotel. Dear Karolyn, your blog is turning out to be the highlight of my day 🙂 I live in Comber and know all these townlands (and graveyards) really well. I also know the team who work on the Townlands project and I’ll let them know about this wonderful blog of yours. Be sure to visit Drumhirk, Ballynichol, Carnesure and Magherascouse very soon, my home townlands! Thank you, Lolly, for that lovely comment. I was ALMOST in your area today, but it was an expedition for lunch at the Poacher’s Pocket, not for blogging and photography. 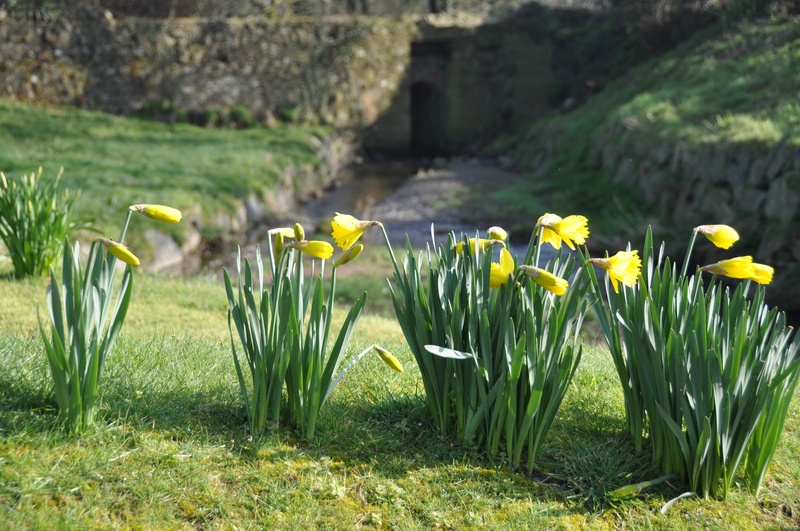 Aaaah, the daffodils made my knees weak. We are still waiting for something green to emerge over here. I enjoyed the gravestone photos very much. It’s odd but there is nothing so peaceful as a walk in a really old graveyard.